on-trend-themed Mixes to gift to all your guests. Adorable looking, easy to bake and delicious too! This listing is for our adorable little Mermaid Themed "Take & Bake" Cookie Mix Favours (Each little mix makes 6 delicious cookies). 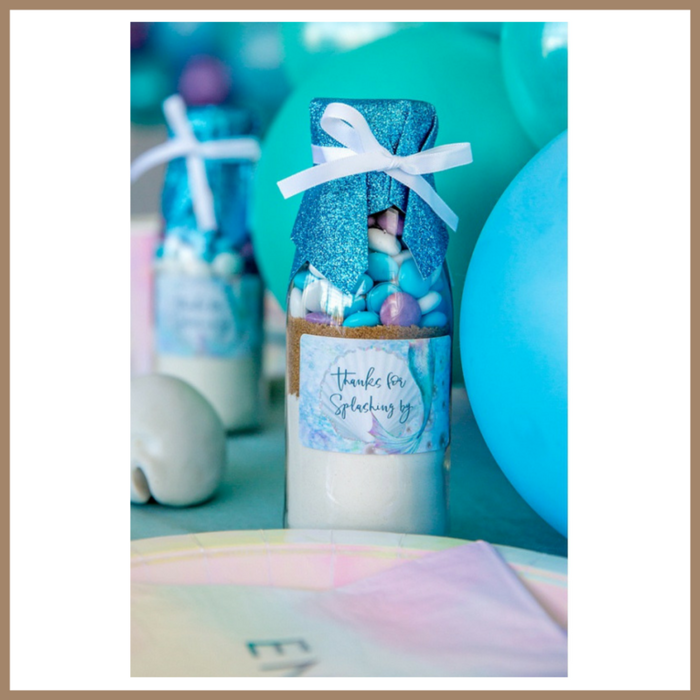 Containing our signature cookie mix base, topped with Blue, Purple & White Choc Drops and dressed in our Mermaid Themed label, our gorgeous Fantasy Blue glitter topper, white ribbon and an instruction swing tag as pictured here. Order 1 or order 10 - with our New Range of "Take & Bake" Mixes you have the flexibility to order as many or as little as you wish with the benefit of still being able to order themed mixes. Prefer to personalise our current label with a special message - easily done! Simply request an order for 20 or more Mixes and we will add your special message to the label for FREE! HOW EARLY DO I NEED TO ORDER? As early as possible please. 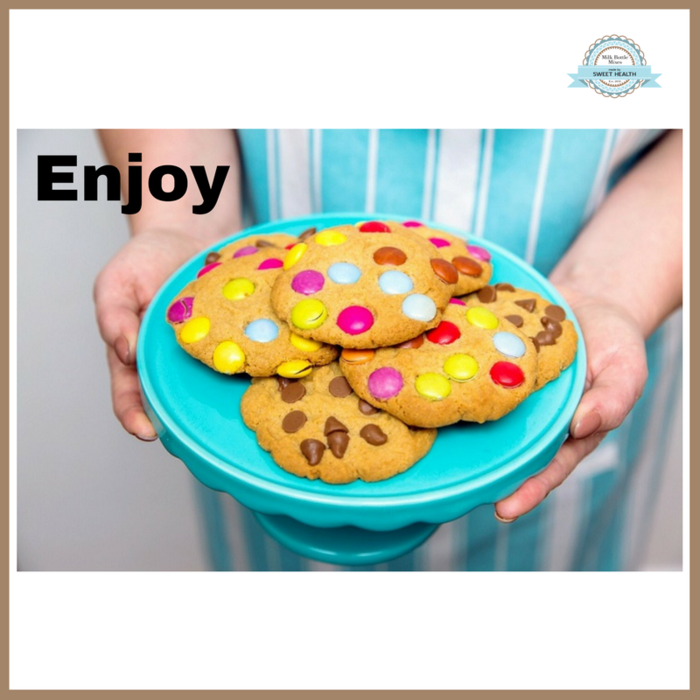 In order to create our Themed Take & Bake Cookie Mix Favours we require a minimum of 6 weeks prior to party/event date. Left it too late? Please don’t hesitate to contact us at sweethealth@outlook.com.au to check if we can create a last minute order for you...you never know your luck. WHAT HAPPENS ONCE I'VE ORDERED? Production with fresh ingredients starts 4 weeks prior to your event date and delivery is set at 2 weeks prior to your event date. If you need the products earlier please let us know and we will do our best to accommodate your needs. WHAT IF I HAVE A GLUTEN FREE GUEST? 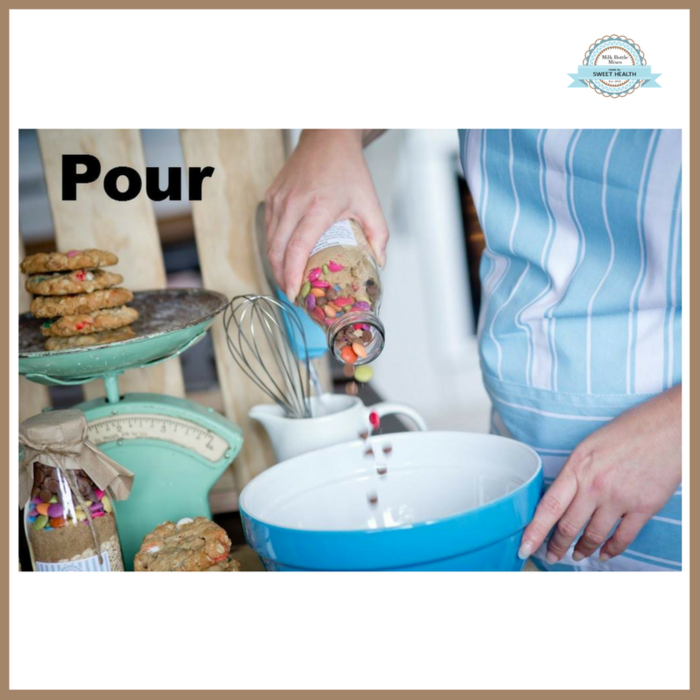 We can accommodate with a Gluten Free Choc Chip Cookie Mix. 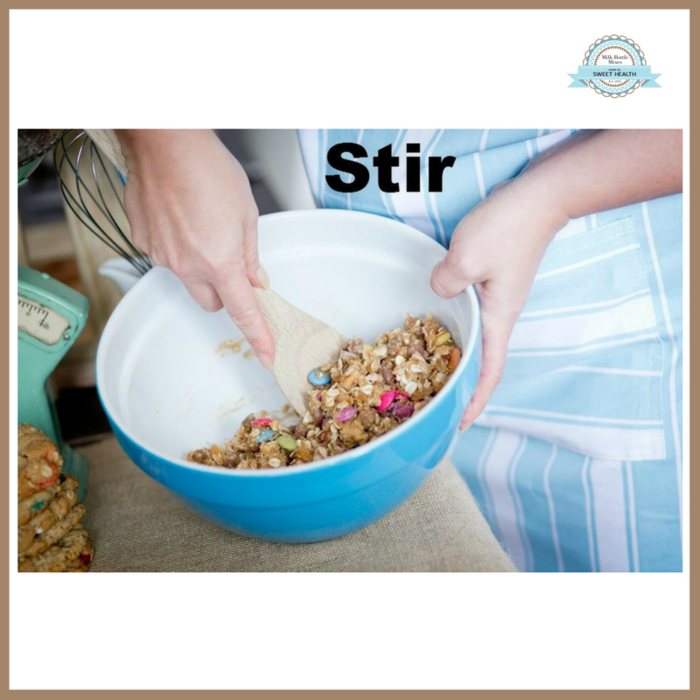 Simply order the TOTAL number of mixes you require (including the number of Gluten Free) and add a note to our notes section requesting a gluten free mix. All gluten free mixes will be dressed the same as your other mixes however will be a Choc Chip Gluten Free Cookie Mix instead of the coloured cookie mix listed here. Of course, pickups are available from Cambridge Park (Sydney), please email us at sweethealth@outlook.com.au to arrange an appropriate time. Otherwise all deliveries are made through Australia post and our chosen couriers. ARE THEY EASY TO MAKE? Yes, our cookie mixers are very easy to bake, you simply add butter, egg yolk and a dash of vanilla essence (optional) and bake for 10 -15 minutes to make 6 delicious cookies. DO YOU USE AUSTRALIAN MADE INGREDIENTS? Absolutely!! We are strong advocates for supporting Australian made ingredients. We use genuine Nestle Smarties & Choc Bits in all our Smartie, Choc Chip & Hot Chocolate mixes. Please note however that for custom coloured cookie mixes not all choc drop colours are available in Australian made so we do source non-Australian made choc drops for these mixes. Can hold 250 mls of liquid. We understand ordering on line for a special occasion can be scary and sometimes you just need to speak to someone, if that’s the case please don't hesitate to email us at sweethealth@outlook.com.au and we can arrange a suitable time to call you. 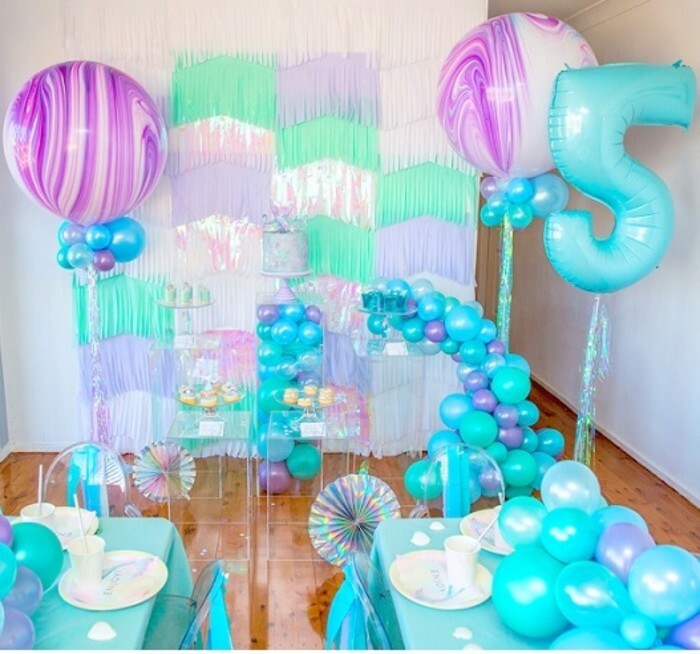 Photography|Styling|Props - courtesy of Tiny Tots Party & Prop Hire. To re-create this look feel free to contact them directly. Label design – created by Kel's Gift Labelling. 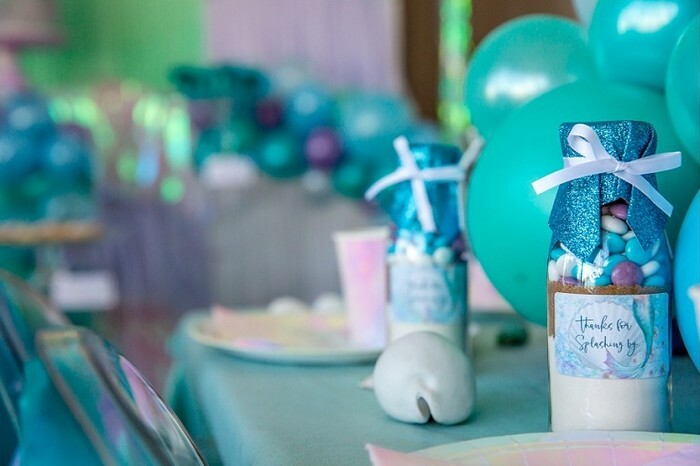 Please feel free to contact them directly if you require other event/party stationery to match this theme including invitations, party stickers, tags, bunting, drink labels and more.